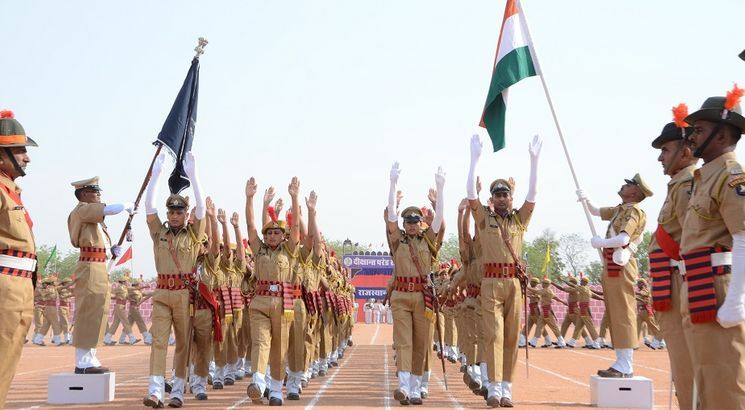 Rajasthan Police has released the application form for candidates aspiring to become Constable in Rajasthan Police. Filling of application form of Rajasthan Police Constable has commenced from July 21, 2018. The last date for filling the application form is August 10, 2018. The application will be filled for 623 vacancies. The candidates who are willing to apply for the post must visit the official website of the Rajasthan Police, The link of which is given in the bottom of the article. The selected candidates will be paid a monthly pay of Rs 14, 600. The Eligibility criteria for the post of Constable is decided on the basis of Age and Educational Qualification. Age: Candidates must be below 40 years of age. Education Qualification: Candidates must have passed class 8. Candidates who will apply for the post of constable (driver), the applicant must hold a valid Driver's License (LMV/HMV). The selection of the candidates will be done on the basis of a Written Test and Physical Standard Test (PST)/Physical Efficiency Test (PET). All those candidates who will qualify in the written test will go through the physical standard test. physical efficiency test after which the candidate will be recruited as Constable in Rajasthan Police.